This is my (Clint Eastwood voice) “GET OFF MY LAWN!” moment: As I get older, I look forward to the One Shining Moment segment at the end of the NCAA tournament. This year, it was terrible. Way too much Duke and Zion W. Only one pic of UH and it was UK’s winning shot. Nothing from our blowout over Georgia State or the win over Ohio State. I’m fine with the multiple shots of the final four teams, but do we need to see Duke every other clip? Tip of the cap to CBS for showing a farewell shot of Temple’s Fran Dunphy…other than that, a grade of D- for the OSM segment. End of rant. Go Coogs. Peace. Probably becasue a final four team beat us with a prayer shot as time ran out. 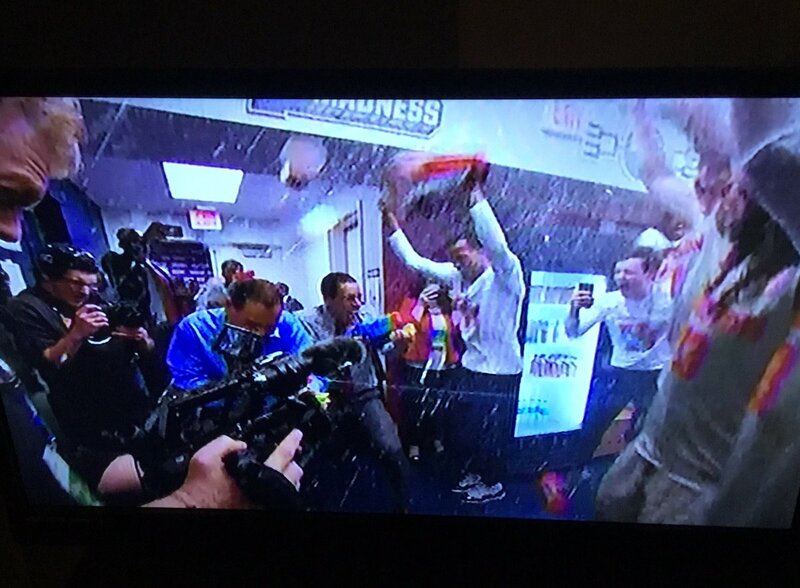 Did they show the Sampsonator with the water guns coming into the locker room? If they did show the water gun scene, it must have been quick, and I missed it. I only saw the UK game winning shot. It was a court level view, the shot still went in the hoop, and it still made me nauseated. Only one pic of UH and it was UK’s winning shot. It was in there, but yes it was very quick. It did feel like too much Duke. To be fair, Duke had 3 amazing finishes to games, but all the extra Zion stuff really wasn’t needed. Maybe one clip of him and the clips of the UCF/VA Tech/Michigan St finishes. The piece was not one of CBS’s best One Shining Moments. Setting aside slight to the Coogs the piece had no pop & energy & way to much Zion & Duke. Disappointing! Duke and Zion were the story of the season/tournament no complaint what-so ever. What was the biggest play against us all season and maybe Kentucky’s biggest play? The 3 ptr against us had to be in there… I could argue they should have shown the block too. The showed the squirtgun battle, perfect. Would it have been cool to have a bucket or maybe Cory celebrating? Yeah but we smoothly won two unremarkable games to the nation at large. I’ll take it.